Amazing Selling Machine is the Amazon FBA course; it teaches you how to build a physical product on Amazon. The course is created by Jason Katzenback and Matt Clark. Amazon is taking the entire retail world by generating almost $170 billion per year revenue and it is growing rapidly. The giant e-commerce website has flying drones, local stores, and massive warehouses and is having rapid international growth. Amazon is giving the opportunity to the people to build a real, long-term and profitable business through the Amazon resource. In 2018, new and faster way to build your business than any other year in the history. As I already mentioned, Amazon is like a beast right now. Growing and emerging every year, it has shown incredible growth in the sales in the years. About 70% of the American who earns $160k or more is having an Amazon Prime account. Amazon hit in sale in the year 2017 was a 31% increase to the year 2016, increase from $136 to $177.9. In 2016 a study showed that Amazon sales were 40% of the entire online sale. What will ASM teach you? 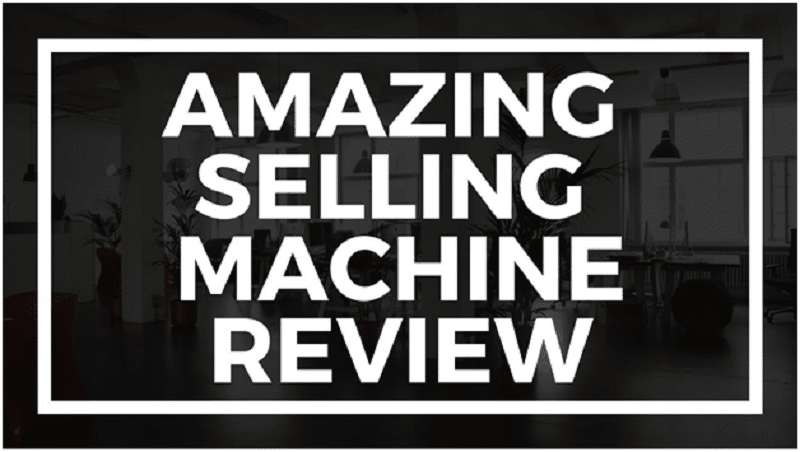 A few months back the doors to Amazing Selling Machine were completely closed to the general public, now they have opened it again and we couldn’t have been happier. This time ASM has come up with better ways and some updated methodologies. It will teach you to find a red-hot product opportunity on Amazon. It will teach you, how to find high-quality suppliers for any product around the world. How to create your own brand for any product that you want to sell. How to create a perfect Amazon product page. It will teach you to automate the entire logistics of the business using Amazon’s own resources. It will teach you how to scale your business by growing your brand with additional products. It will also teach you how to deal with negative reviews, prying eyes of competitors and watching for the key metric in your business on Amazon. It has 8-week online web class. There is a mentor program. You’ll get a lifetime access to the private and exclusive community. There will be a private resource vault. Each of these components will help you design your business in a better way and will help you bring effective results. What are the causes of Amazon product listing to get a higher ranking? Fake reviews – Earlier in 2016, fabricating fake reviews was one of the ways to boost your product on Amazon. But now it’s much difficult to do this owing to the increase in the security by Amazon in the year 2018. Now which products get high depends on its conversion rate, how many people land your product and buy from you. That is why great product concept and selection is very important. Then having an amazing logo and brand design also plays a key role and then finely tuned product listing. Paid Advertising – Another method for PPC is paid advertising which grabs a considerable number of eyeballs. So the question is, what is better e-commerce or building your own Spotify e-commerce? The Good- Amazon is a huge brand, its rising popularity indicates that it is not going anywhere soon. Amazon handles inventory, packaging & shipping so you need not worry about that. It is giving you opportunities to create a real brand which later can be sold for a bigger price. It gives you a scalable business, other than the product cost there is no overhead cost. The Bad- There is no guarantee of success; there are chances that despite doing everything right your product might not sell. Due to recent changes, the product listing rank takes much time. The difference between building your own Spotify store and Amazon is that it gives us lesser control over profit margins and to market or sell your product. You have to deal with the negative reviews. Amazon Selling Machine is one of the authentic courses of Amazon. It is one of the most popular ones because they cover everything from tip to toe. They have continuously amended changes in their course because of the changing times and technology. It will give you better insights and methodology towards building your own business on Amazon.